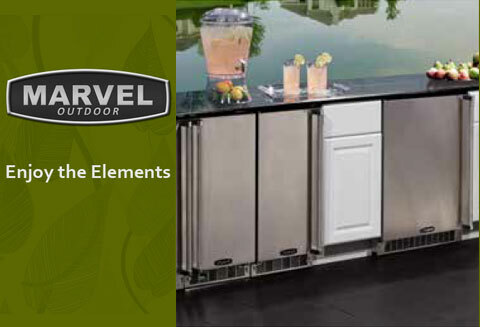 The Marvel Outdoor Refrigeration Series is the perfect match for your professional-style outdoor kitchen. 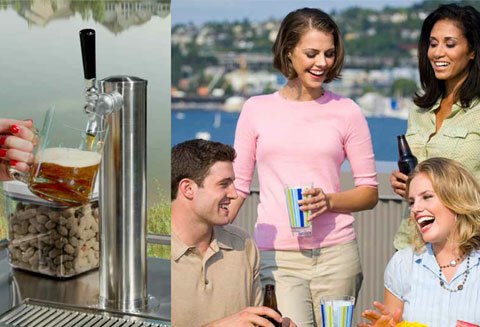 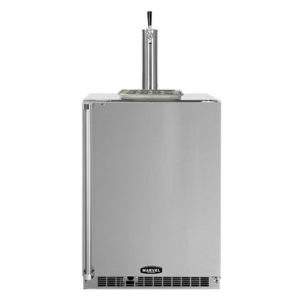 Our outdoor refrigerators, beer dispensers, and ice machines are built with commercial-grade stainless steel that has been salt-spray tested to ensure corrosion resistance and features a durable commercial-grade power cord. 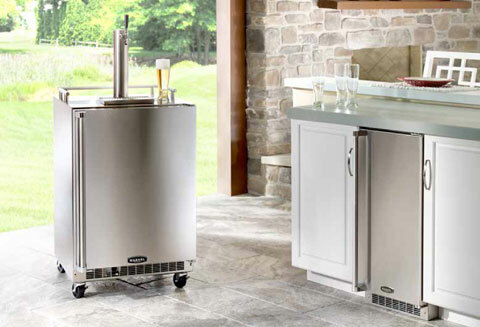 The pro-style handle and stainless steel toe kicks add an elegant yet rugged distinction perfect for your outdoor refrigeration needs. 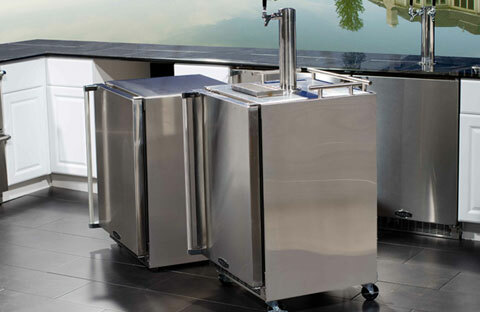 Flexible shelving options give you total adjustability, and advanced cooling systems keep your beverages and food at the perfect temperatures. 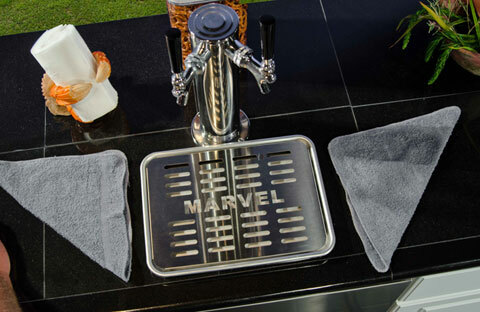 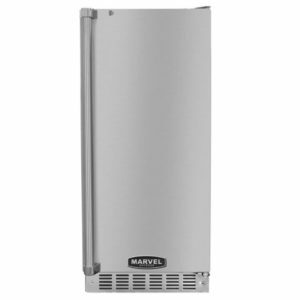 MARVEL’s sleek stainless steel shelves are durable, hygienic, and safer than glass shelves. 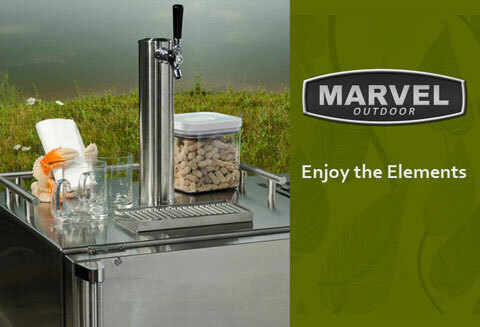 Marvel Outdoor products are manufactured in America to the same stringent standards as those we design for our medical, scientific and industrial customers and are UL Listed for outdoor use. 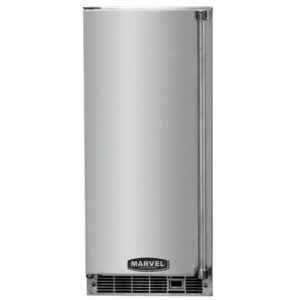 Trust Marvel for long lasting performance.